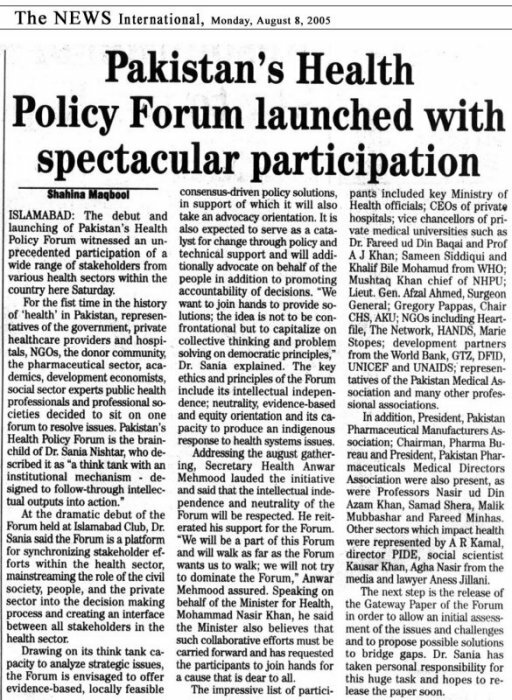 The original purpose of the Forum was to mainstream the voice and contributions of the civil society and the people into the decision making process in the health sector in Pakistan. The Forum’s original strategic and operational parameters are articulated in its Statement document. 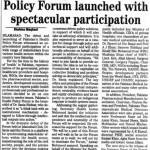 Membership of the Forum is broad-based and is by invitation. Organized on democratic principles, the Forum is free of any party, political or religious affiliations. Members of the Forum have previously engaged in Heartfile’s initiatives in the area of strengthening the evidence base for health reform by providing feedback, through their participation in meetings and by generating dialogue on Heartfile’s viewpoints.